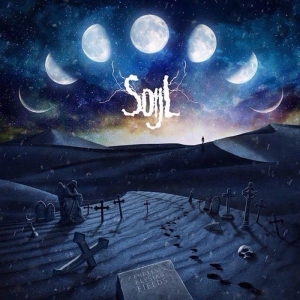 Soijl's debut: dark, brooding, emotive, and full of heavy, stately Death/Doom riffs. If proof were actually needed that most, if not all search engines, are hideously biased towards whatever it is the mainstream wants to look at, just enter Swedish doomsters Soijl's name into the search bar and press play. If you're lucky enough to get an option to head in the direction of websites devoted to Solitude Productions' Death Doomsters then crack on. Otherwise it's straight towards the realms of soil pipes, soil stacks or a band called...Soil. Who knows, they might be really good. Difficult to say these days. They look like they could easily be post-grunge mediocrity personified, or even some manifestation of metal-core, whatever the hell that actually is. Soijl are neither. Which is a relief. With twin-guitar lines turning the clock back to the days when 'Serenades' hardly left my turntable and with a punchy modern sound giving glimpses of what Anathema might have sounded like if they'd stayed Doom and released at least one or two more albums with Darren White, 'Endless Elysian Fields' is a wonderful expression of what Doom Metal can be all about. Dark, brooding, emotive, and filled from top to bottom with heavy, stately riffs. Despite a lack, or sparse use, of keyboards, I'd venture to say there's a 'Gothic' tint to this album. Although, to be honest, I wouldn't really know one end of the 'Gothic' Doom scene from the other. (I do like Draconian's 'Arcane Rain Fell', if that counts). But the emotions of loss and grief are present, as a quick glance at song titles 'Dying Kinship', 'Swan Song' and 'The Shattering' will tell you, and there's some superb music on offer here, born from those shadowy emotions. Production wise, fans of latter day Funeral will most likely approve of the beefy, crystal clear mix, as well as the excellent guitar work, lacing the album with rich, lengthy bar chords, silkily orchestrated melodic leads, and enough pinched harmonics to make Zakk Wylde blush. 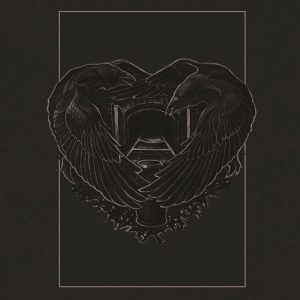 The Funeral comparison gains momentum when one thinks of how they embraced a more 'metallic' approach on albums like 'From These Wounds' and 'Oratorium', and thankfully in Soijl's case, there's less of the grandiosity that clouded the latter of those releases. The Anathema influence is evident when the vocal delivery is varied from growls to clean and then into purposefully spoken word. Musically, just listen to 'Swan Song' and bask in it's reverence to the likes of 'Crestfallen' and 'Sleep in Sanity'. Despite the aforementioned scarcity of keyboards and other possible instrumentation there is a distinct variance of sound within the music, albeit a subtle one. Pace shifts from prevalent funereal and slower passages to faster, more aggressive segments. 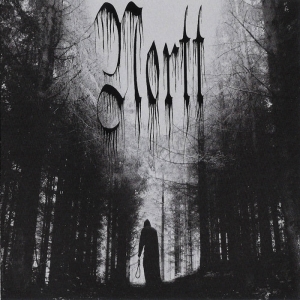 Cleaner, more open guitar lines morph into majestic sounding chords and up their gears into quicker riffage reminiscent of certain elements from mid-period My Dying Bride. 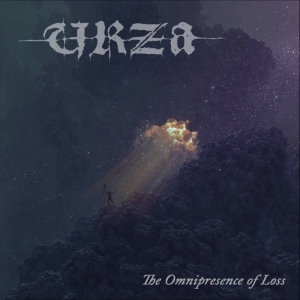 As previously noted, the vocals are anything but one dimensional, although they perhaps sound a touch generic when they start to stradle the borders between Death and Black metal.